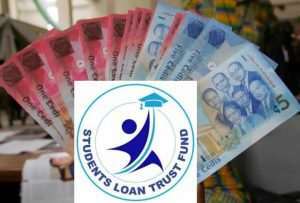 The Students Loan Trust Fund (SLTF) has asked students in the various tertiary institutions to remain calm as it works to resolve delays in the disbursement of funds for the 2018/2019 academic year. The Head of Public Relations for the Fund, George Ferguson Laing told Citi News they are working closely with the Ministry of Education and GETFUND to make the funds available. The National Union of Ghana Students had threatened to embark on a hunger strike over government's delay with the disbursement of students loans funds for the 2018/2019 academic year. According to the students union, all beneficiaries of the student loan aside embarking on the hunger strike will march to the office of the Finance Ministry, Education Ministry and the Students Loan Trust Fund office if the government refuses to release the funds immediately. The President of NUGS, Tinkaro Asare Osei in a statement questioned why the government had delayed in making the payments.